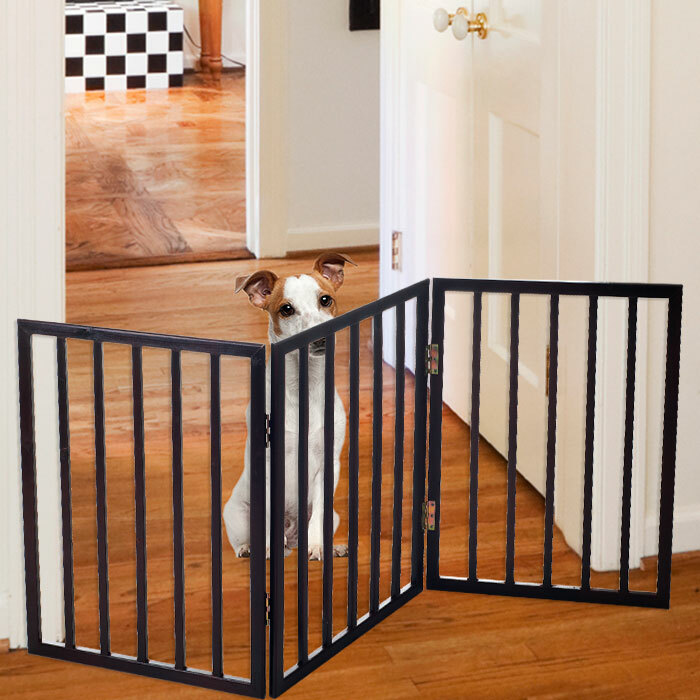 Keeping your pets where they belong has never been easier than with the Foldable, Free Standing Wooden Gate- Light Weight Barrier for Small Dogs / Cats by PETMAKER- 24 Inch, Dark Brown, Step Over Doorway Fence. 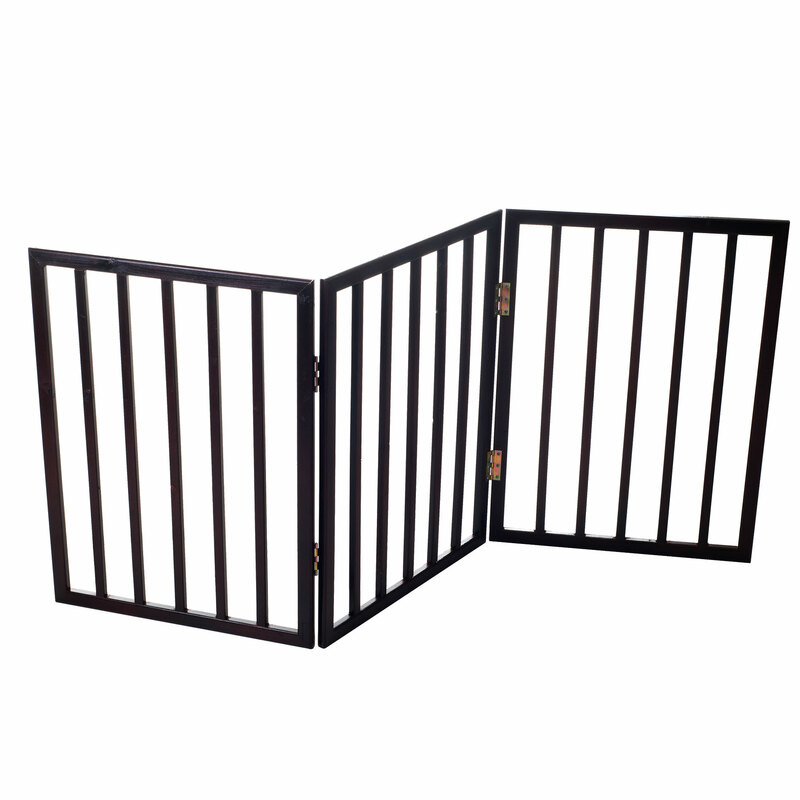 The free-standing gate is designed to fold, which allows it to be light weight while maintaining sturdiness. This stylish, wooden gate will look great in any part of your home, and is perfect for blocking off doorways, hallways, and stairs. STYLISH AND FUNCTIONAL: This pet gate is excellent way limit your pet’s access to parts of your home, while maintaining a modern appearance. 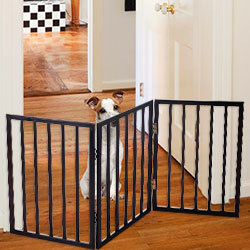 The espresso finish on this wood gate, is a more attractive alternative to the typical plastic pet or baby gates. PRODUCT DETAILS: Color: Wood Finish: Rich Espresso (Dark Brown). Materials: Wood and Metal (Hinges). Dimensions: Opened: 1 inch (L) x 54 inches (W) x 24 inches (H). Folded: 3 inches (L) x 18 inches (W) x 24 inches (H).